It was about halfway across the Pacific Ocean when I realised what I’d done. I was nineteen, and I was en-route to Los Angeles on my first overseas adventure; I’d hopped on a plane, all by myself, to live and work in an American summer camp for four months. I’d only just left my family home a few months earlier, and I could barely wash my own clothes or cook my own dinner, let alone look after other people’s children all day every day. What if it was a huge mistake, and I ended up on the first flight back to Australia with my tail between my legs? I’d never travelled alone before, nor had I ever been overseas, and I was full of a sickening, nervous excitement that just didn’t feel right. Growing up in a small town on the Far South Coast of NSW in Australia, I always relied on my family and friends to support me through the tough times. With plenty of schoolmates and an extended family that stretched across half the town, I never lacked in finding someone to look after me, to allow me to lean on them in times of need, or to simply keep me company when I was lonely. The first thing I learnt from that first trip overseas was independence. 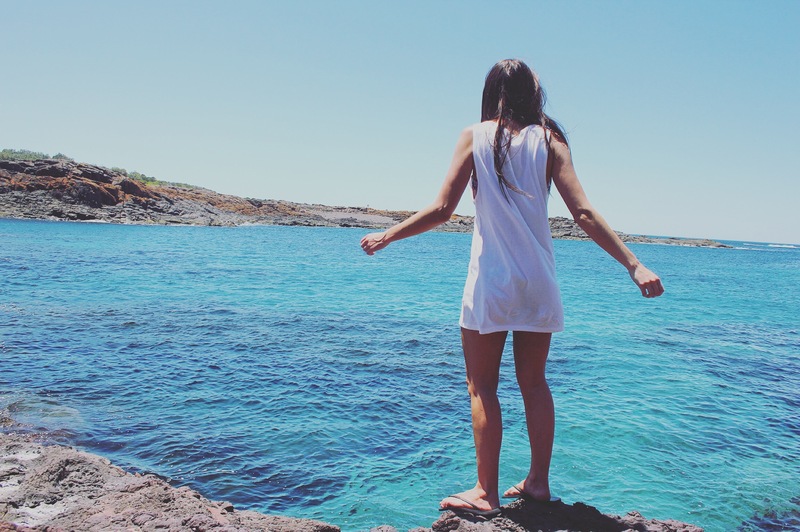 I wasn’t used to doing things on my own, and by stepping out of my comfort zone by going on my first overseas trip alone made me feel liberated and free. I realised that I was capable of looking after myself, no matter what. I also learnt how to be content with my own company. During my last week in the States, I found myself in San Francisco, all alone. My travel buddies from camp had all left to go home or travel elsewhere, so I was by myself. I’m not going to lie – that week was my least favourite part of the entire trip. I hated being alone, unable to share my experiences with someone else. However, as the week went on, I began to feel more comfortable with my own company, and actually began to enjoy myself! These days, I love exploring on my own! Travel is all about experiencing new cultures, and seeing firsthand how the rest of the world live. We are all humans, but we couldn’t be more different in our ways of life. For example, we all eat and drink, and obviously, we all need to use the bathroom. I’ll never forget the first time I visited Asia and experienced their squat toilets. Terrified about falling in, it took me a few encounters before I worked up the courage to give it a go. Afterwards, I couldn’t stop laughing at how unusual it was, and I’m sure there are Asian travellers who visit my home country and laugh at how unusual our toilets must seem! Another hilarious cultural difference I have experienced on my travels was Australian English versus American English. Until I went to the US, I had no idea how different our languages really were. The first (and last) time I asked a bunk full of 12 and 13-year-old campers to “grab their thongs”, I was met with shocked faces and uncontrollable laughter. It took me a few minutes to realise that the word ‘thong’ had a very different meaning in the US than it does in Australia! Learning about new cultures is what helps us understand them, and if everyone understood each other’s cultures, perhaps there wouldn’t be as much hate in our beautiful world. 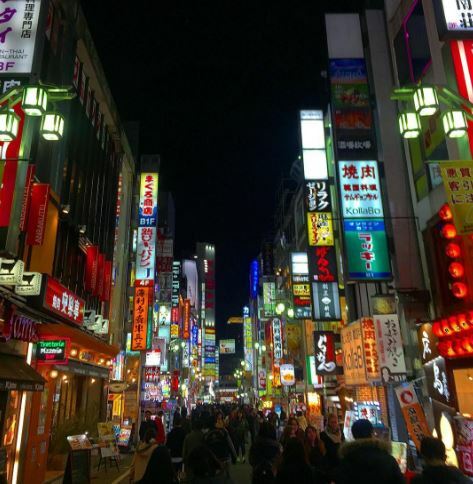 Japan is definitely a cultural experience to remember! Some of the most incredible friendships that I have developed over the past few years have been because of my travel experiences. I’ve met some of my closest friends in hostels, at summer camp orientation, during study abroad, or simply out and about during an adventure. There are countless faces without names forever embedded in my memory, from the couple I shared steins with at my hostel in Munich during Oktoberfest to the two girls I joined for a picnic at an outdoor cinema in Houston. I may not remember their names, but I’ll never forget the experiences we shared. As for those I have kept in touch with, our friendship is cemented by the memories of the best days of our life, and the special bond we share through our love of adventure will never be forgotten. I still keep in regular contact with my girls from summer camp, and my boys from exchange, and have no doubt that we will always be in each other’s lives. These guys were my best mates on exchange at the University of Colorado at Boulder! There’s something amazing about having passion. Regardless of what you’re passionate about, the feeling you get when you immerse yourself in something you love is the closest thing to pure happiness. If my love for travel didn’t exist, I honestly don’t know what else I would be doing. I have other interests, but travel is something so close to my heart that it is often all I can think about. It’s something I truly enjoy, and something I am so passionate about that I have dedicated all my spare time to creating a blog about it! Travel has also taught me how to cherish experiences over material possessions. Experiences are just so damn rewarding, and the feeling I get when I travel just cannot be compared to how I’d feel buying a house or a new car, or an expensive dress or pair of shoes. I love giving experiences as gifts, because the memory of an incredible moment is worth so much more than any material item. 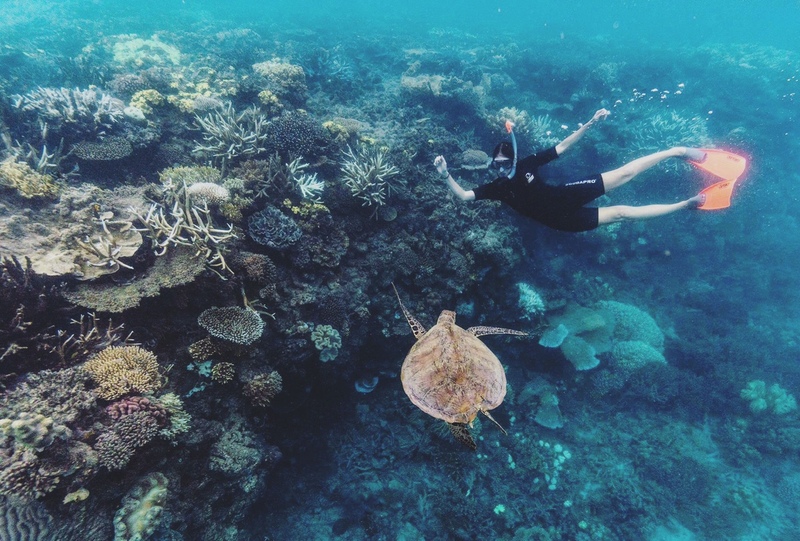 Swimming with a turtle on the Great Barrier Reef on my birthday is one experience I will never forget! Finally, one of the most important ways travel has changed my life is that is has made me a much humbler, grateful person. 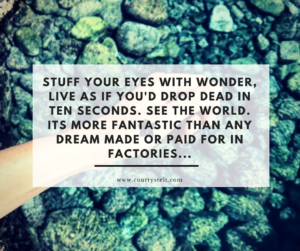 While I am in no way wealthy nor well-off by Western terms, it wasn’t until I travelled to countries poorer than my own that I realised how truly lucky I was. Riding horses through La Romana in the Dominican Republic and watching people scavenge through the waste to find food or other items of value almost broke my heart. Being harassed by spruikers who wandered the beaches in Seminyak, Bali, trying to sell cheap bracelets and sarongs may have seemed annoying at the time, but at the end of the day, they were just trying to feed their families. It is only when you put yourself in their shoes that you are able to comprehend the struggles that so many people in our world endure every day, and it is then when you are able to appreciate your own way of life. I am also so very grateful that I am able to travel as far and as often as I like. Sure, I’d love an endless supply of money or a job that took me around the world 24/7, but at the end of the day, I have a comfortable, flexible job, little living expenses, almost no debt (let’s pretend my HECS doesn’t exist, shall we? ), and a partner who loves to explore the world just as much as I do. That, my friends, is the luckiest life I could hope for. Travel has changed my life in many ways, but the biggest change has been to my perspective. My perspective on life, and on the world, will forever be challenged by the experiences that I undertake through my travels. This post was originally featured on Hello Raya as a guest post. What a great blog post! Amazing Perspective on traveling solo around the world and being able to fulfil your bucket list , whilst living your dreams. It most certainly is! Thanks Matt! !